Every once in a while, I happen to encounter a young writer on only her fourth or sixth novel. The prose has a different texture, some of the characters have memories similar to mine. I sit down to read and touch the un-familiar paper, with maybe a small, warm font to entice me. This time, the young writer is Kate Walbert, and this, her third novel to be shelved and eventually joined by others. In this case, Kate Walbert has revived these memories. His Favorites is the novel, and I have just this minute finished reading her warm and near pleasant narrative. Kate Walbert was born in August 13, 1961. She was a finalist for the National Book Award for her novel, Our Kind. 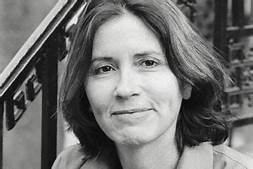 Her novel, A Short History of Women, was a New York Times best seller, which was also named as one of the ten best books of 2009. She lives in New York City. Only three novels will catch me up to these wonderful novels. Jo Hadley has suffered all the problems attending a divorce. Walbert writes, “That year my mother, a beautiful woman given to her own fowl play, divorced my father and took up with a much younger man, someone she met at a farmers’ market on a trip to Portland. She will move to the West Coast and eventually marry him, adopting and training shelter dogs as service animals, forswearing liquor, pot, and meat in short order” (14). She says, “It’s not the story you wanted me to tell” (14). That line made me hunger for the story she wanted to tell. She finished boarding school and moved onto college. The early scenes in the novel remind me of John Knowles and his iconic coming of age story, A Separate Peace. That was one of the first novels of that sort I read in high school—copies of Catcher in the Rye were scarce, and if found in my possession, there was a heavy price to pay. The first chapter set in her college, began thus, “Master Aikens was one of those teachers. Everyone called him Master, or sometimes, M. I saw him for the first time in late October, a few weeks after I arrived at Hawthorne, leaning against one of the columns in the portico between the science building and the library, holding court for a group of the boys. I recognized one from my American Histor seminar, Teddy Pyle, and several who looked like upperclassmen, the juniors and seniors I did not dare speak to * the times I followed Lucy and the other girls to watch them play Frisbee in the football field” (15). Master had a, “constant orbit that circled him wherever he seemed to be, laughing, always laughing; Mister hilarious, I heard, and cool” (15). Towards the end of the novel, Walbert writes, “There are four other girls in Modern Lit besides Charlotte and me, although they are not his favorites. We are still his favorites. The others are smeared, their edges blurry, bleeding into the background, dissolved around the seminar table. I barely see them. And he pays little mind” (140). The student, Susan, is a brilliant student, but in this case, she refuses to answer. Kate writes, “Master walks over to stand behind her, placing a hand on either padded shoulder. ‘Cat got your tongue?’” // ‘I forgot what I wanted to say,’ she says. // ‘Happens to the best of you,’ he says, winking at us from behind Susan. ‘But don’t you look lovely,’ he adds” (141). Kate Walbert, in His Favorites, has written an unforgettable story which will chill you on a warm winter’s night. Don’t miss it! 5 Stars.